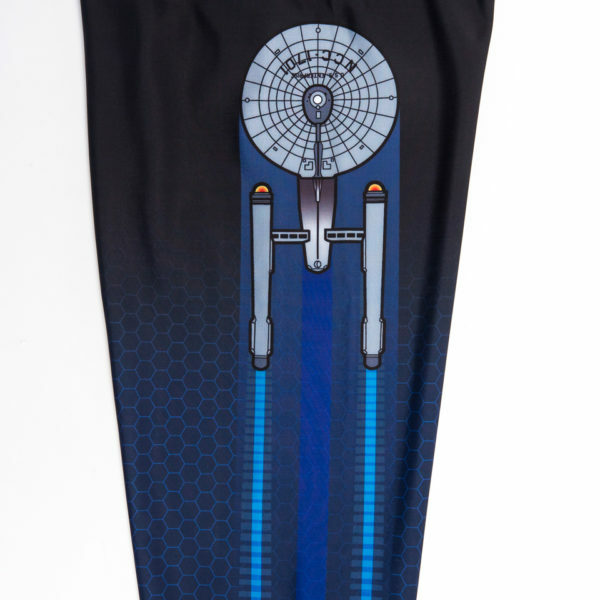 Nothing is more iconic to Star Trek lore than the USS Enterprise. Its original 5-year mission was to seek out new worlds and civilizations, and to boldly go where no man had gone before. Capture the power of the Enterprise and it’s engines as you overwhelm your opponent with warp speed. 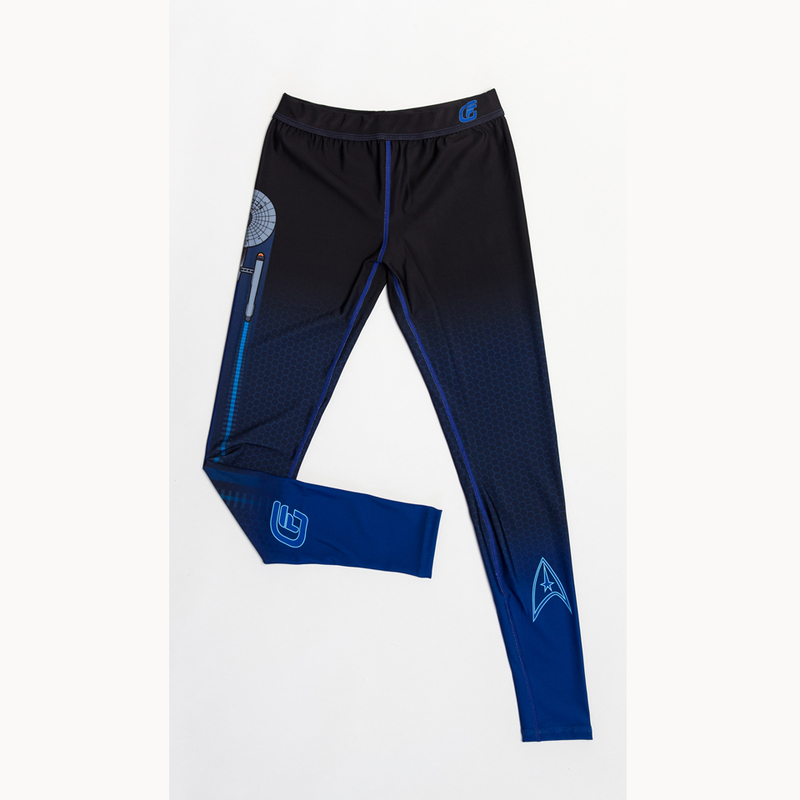 Perfect for repelling nasty bacteria, these officially licensed BJJ spats have a tight compression fit and make it tough for your opponent to grab your legs as you slice through their guard. 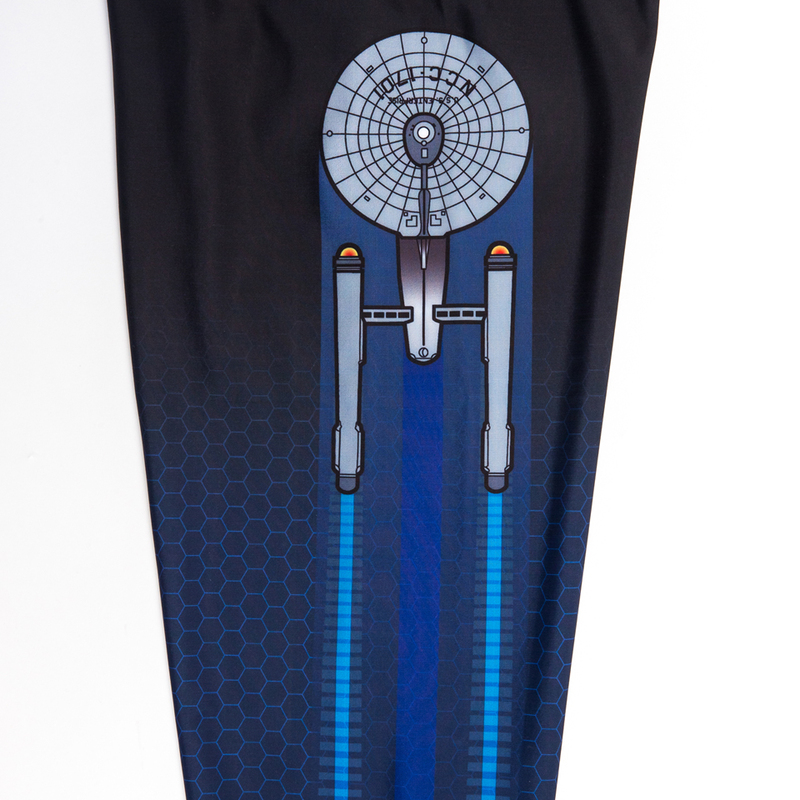 They can be worn under a pair of shorts, or on their own if you really feel like showing off your “Enterprise”.